Author Bev Roozeboom of Pella is celebrating the release of A Day in the Life—a powerful book that takes an in-depth look into the lives of families whose children have chronic mental health disorders. 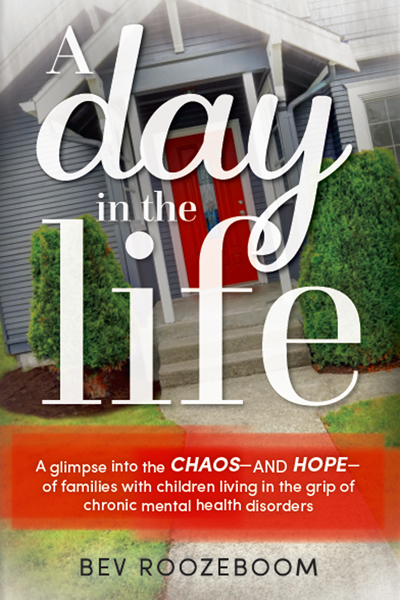 Published by the Write Place, A Day in the Life covers a wide range of issues faced by parents of children with mental illnesses, like grief, joy, chaos, sibling relationships, the church’s response and making sense of suffering. Not only does Roozeboom draw on her own experiences, she features the perspectives of parents she has interviewed whose children deal with various mental health issues, including anxiety, depression, schizophrenia, bipolar disorder, PTSD and many more. A Day in the Life is available as a print and e-book on Amazon and BarnesandNoble.com. It can also be found at The Sanctuary in Pella, as well as Choices Christian Bookstores in Newton and West Des Moines. Bev Roozeboom lives in Pella with her husband, Steve. She is also the author of Unlocking the Treasure, a Bible study for moms entrusted with special-needs children. Roozeboom is involved in her church’s prayer ministry and teaches NAMI (National Alliance on Mental Illness) classes with Steve. She loves spending time with family and friends—especially her three children and five grandchildren.